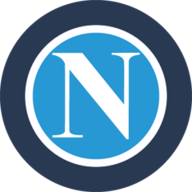 Napoli reached the Coppa Italia final after overturning Roma's first-leg advantage in style at the Stadio San Paolo. The 2012 cup winners, who will meet Serie A rivals Fiorentina in Rome on May 3, were trailing by one goal before kick-off on Wednesday having lost 3-2 to the Giallorossi in the capital last week. Iconic striker Diego Maradona won the Coppa with Napoli in 1987 and danced for joy in the stands after watching his modern counterpart Gonzalo Higuain follow up Jose Callejon's early strike. Jorginho then scored his first goal for the Neapolitan club to add gloss to a one-sided 3-0 victory and Roma's miserable night was complete when midfielder Kevin Strootman earned a late red card. There was an early scare for Napoli as goalkeeper Jose Reina went down hurt, but the on-loan Liverpool man was able to continue after treatment. The Azzurri threatened first, Marek Hamsik trying his luck from distance only for his left-footed shot to sail over the bar. 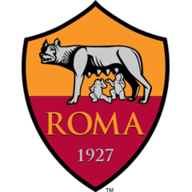 Roma responded brightly and Strootman was unlucky not to smash home Gervinho's parried shot, the Dutchman instead clipping over under pressure from Christian Maggio. Napoli's wing-back started the move that led to the first goal in the 33rd minute. His cross from deep evaded Roma defender Mehdi Benatia and Callejon rose highest to head the ball beyond Morgan De Sanctis. Napoli would not score again before the break but, once play resumed, they turned the screw in convincing fashion. In the 48th minute Maradona fell off his seat in exuberant celebration after watching Higuain anticipate Vasilis Torosidis' tackle to head the ball home from a corner. Three minutes later Napoli bagged the goal that all but booked their place in the May final. It was a debut goal for former Hellas Verona midfielder Jorginho as he skipped past Michel Bastos to beat De Sanctis from a one-on-one confrontation. Strootman thought he had pulled one back for beleaguered Roma when loping forward to nod home a cross from deep, but the offside flag denied his side a way back into the tie. Roma came no closer to forcing extra-time and their fate was finally sealed when Strootman saw red for sarcastically applauding the referee after being issued with a first yellow card for fouling Callejon.